DARK HORSE TO PUBLISH CRIMINAL MACABRE: FINAL NIGHT—THE 30 DAYS OF NIGHT CROSSOVER! July 3, MILWAUKIE, OR—Dark Horse and IDW team up on this once-in-a-lifetime crossover between the critically acclaimed Criminal Macabre and 30 Days of Night! Steve Niles’s greatest characters come together in a final showdown, with a thrilling script by Steve Niles and artwork by Christopher Mitten. Cal McDonald only wanted a beer, but what he got was a jaded federal agent and a story about vampires up in Barrow, Alaska. There’s a new vamp in LA, and he’s hell bent on escalating his attacks. When Mo’Lock’s sometimes ghoul-friend is murdered, Cal’s on the hunt . . . for Eben—the longtime protagonist/antagonist of 30 Days of Night. For additional information check out the exclusive interview with Steve Niles on Comic Book Resources! 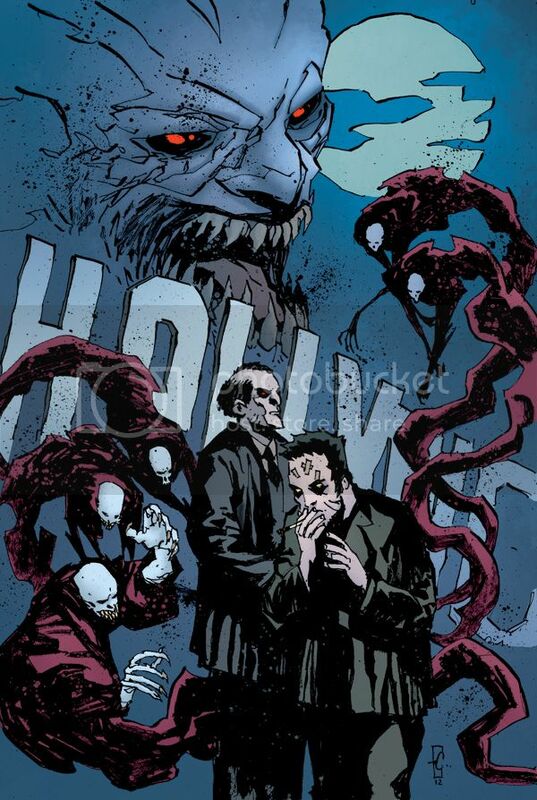 Criminal Macabre: Final Night—The 30 Days of Night Crossover #1 (of 4) is on sale December 12, 2012!